A round-shaped hut in the middle of a woody compound looks like a great idea. 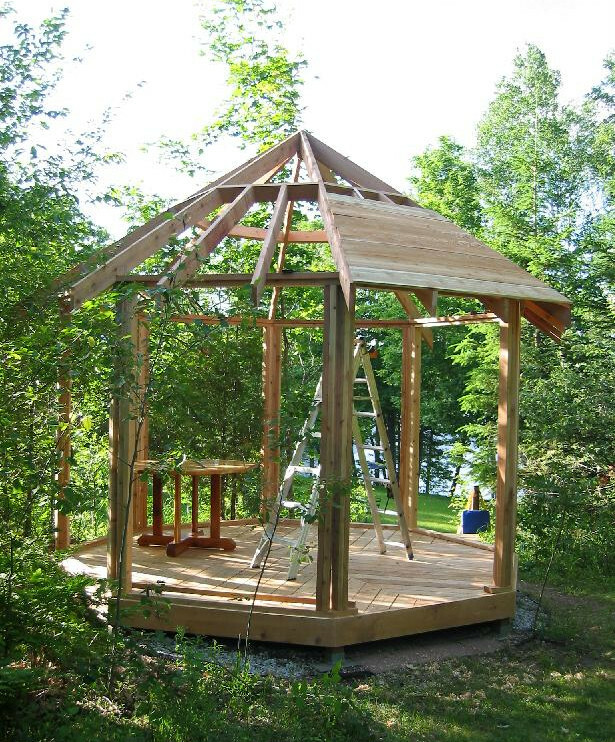 With just timber as the main construction material you can build this lovely gazebo for your family. Ideal for outdoors, this gazebo does not just look attractive. It also provides a calm and quiet place to hide in when your mind is feeling stressed out.